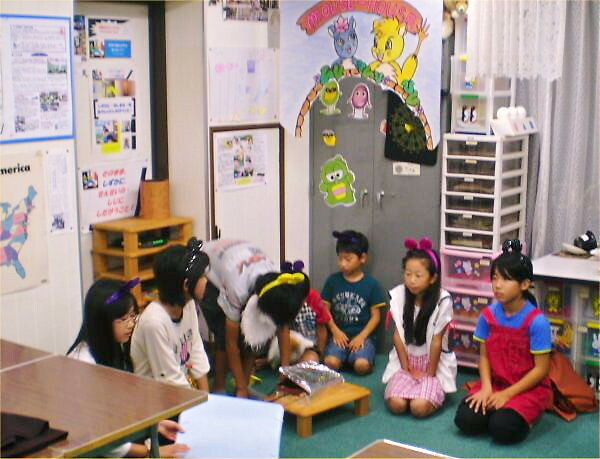 On Sunday, September 30th, we practiced #6 Drill of “Belling the Cat”, which was the final drill: rehearsal. Though the typhoon 17 was approaching our Myoko area, there was only one absentee; Yoshy appreciates their parents’ kind support and cooperation. 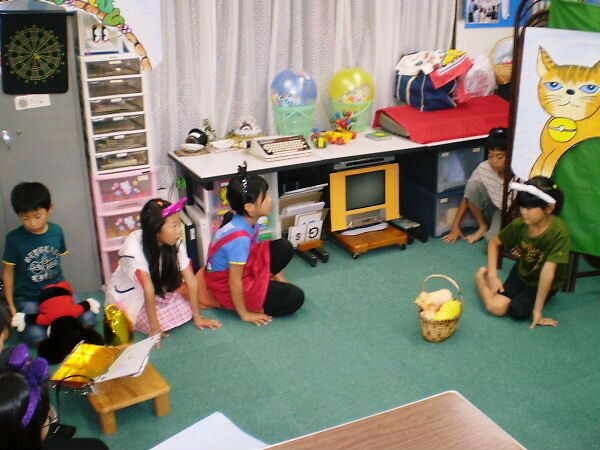 This time, most of them could play it by harmonizing English lines with their actions at last. E.g. In case of saying, “We are eaten!”; all the mice should not laugh, but become very scared. In this case of cats’ should act like “trying to catch a kind of delicious food.” – Yes! Cats are also serious in this scene. One cat was shouldering a big pack of household goods covered with a big arabesque-patterned wrapping cloth, and the other one was carrying a big travelling bag; at which other cast and Yoshy could hardly help laughing. 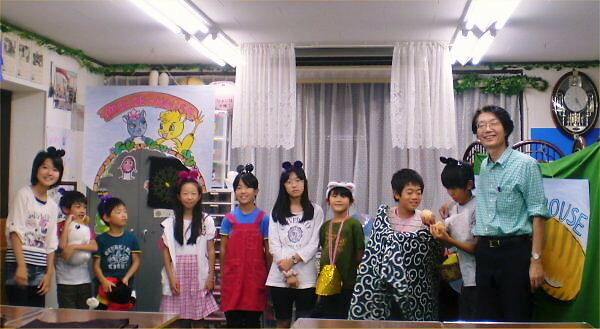 Yoshy thought, the reason they played this scene well was they are child; maybe adults couldn't express this effect. 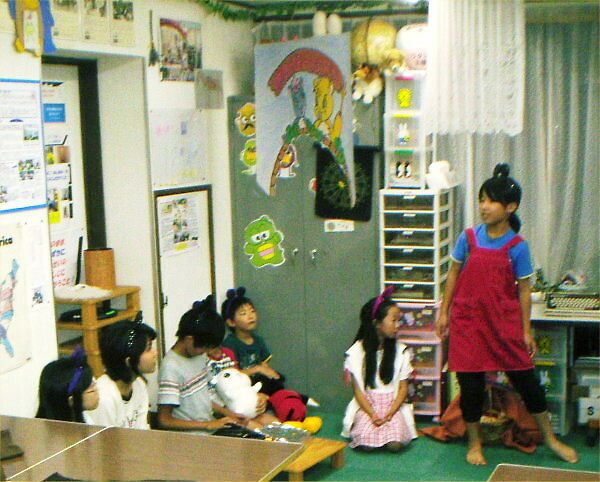 Here is wonderfulness of practicing the English drama. 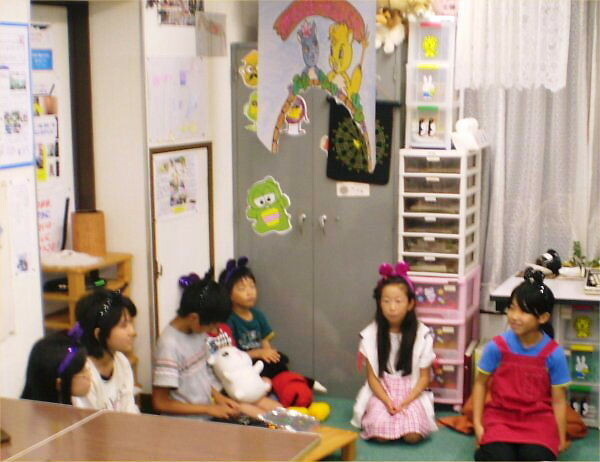 “#35th LL Speech Contest Interclass for Elementary School Students ＋ English Drama: Belling the Cat” is going to be held at Kin-ken Center on Sunday, October 7th, from 2:00 to 5:00 pm. We’re looking forward to your visiting. Please cheer for all the speakers and cast there. #35スピーチコンテスト小6以下の部校内大会＋英語劇「ネコにスズを」のご案内は、You can see the information about #35th LL Speech Contest Interclass for Elementary School Students ＋English Drama: “Belling the Cat” Click：ここを：HERE, click, please.